Winona Lake, Ind. — Hundreds of people from around the world will converge upon Kosciusko County, Indiana next week when the annual conference of the Fellowship of Grace Brethren Churches (FGBC) is held at Grace College and Grace Theological Seminary. The conference, named Equip07 because of the many practical workshops that will be offered, will be held July 29 through August 3 in Winona Lake. Several sessions are open to the public at no charge, including Monday evening’s opening celebration of the conference with keynote speaker, Brad Powell (pictured at right), and Wednesday night’s Moderator’s Address by Jim Brown of Goshen, Ind. Both sessions begin at 7 p.m. at the new Orthopaedic Capital Center (OCC), 610 Wooster Road, Winona Lake. Throughout the week, FGBC conference participants may enroll in practical classes for pastors and laypeople and attend corporation meetings for organizations affiliated with the Fellowship. 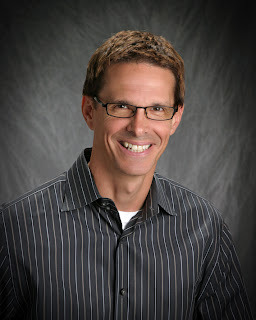 Powell, the senior pastor of NorthRidge Church in Plymouth, Mich., will look at the topic, “Change Without Compromise.” His congregation has been recognized as the Midwest’s “Fastest Growing Church” by Outreach magazine and listed as one of the Top 50 Most Influential Churches by The Church Report. A graduate of Grace Theological Seminary, he is the author of Change Your Church for Good: The Art of Sacred Cow Tipping. Brown, the incoming Moderator of the Fellowship, will focus on outreach and evangelism in his address on Wednesday. He is the senior pastor of Grace Community Church, a Grace Brethren church in Goshen, Ind. that ministers to more than 1,200 people each Sunday. Brown believes in giving back to the community while offering them Jesus. Because of that, an offering will be taken at Wednesday’s session to benefit the Baker Youth Club of Warsaw. It is an opportunity for the Fellowship to give back to the community that is hosting the conference, and where many of its affiliated organizations are headquartered. The Baker Youth Club has helped more than 500 kids in the past year, giving them opportunities to develop skills through activities that instill character and confidence. Seventy percent of the young people are from low income families. The Fellowship of Grace Brethren Churches is a voluntary association of more than 260 churches in the United States and Canada. The Grace Brethren movement worldwide includes more than 1,300 churches serving approximately 750,000 people. Churches in the FGBC are autonomous in structure, relevant in style, and biblical in substance. The group looks to the Bible as the authority, loving relationships as the glue, and hope in Jesus Christ as their passion. For more information about the conference or to register to attend a session, see www.fgbc.org/equip07. For information on the Fellowship of Grace Brethren Churches, see http://fgbc.org/.